Florida Farm Bureau and Ford Motor Company have partnered together to provide Florida Farm Bureau members* with $500 Bonus Cash toward the purchase or lease of new 2018/2019 Ford vehicles**. 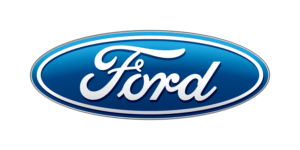 Click here to print your Ford Bonus Cash Certificate! Farm Bureau Bonus Cash is stackable with Owner Loyalty, Lease Renewal, and most Conquest Offers, Trade-in Assistance programs, and Final Pay units. This offer may not be used in conjunction with most other Ford Motor Company private incentives or AXZD-Plans. Grand Prize winner receives a 2 year lease on a Ford vehicle (up to a $14,000 value). *NO PURCHASE NECESSARY. A PURCHASE WILL NOT INCREASE YOUR CHANCES OF WINNING. MUST BE LEGAL RESIDENT OF U.S. or D.C., 21 YEARS OR OLDER WITH VALID DRIVER’S LICENSE TO ENTER AND A CURRENT FARM BUREAU MEMBER. ADDITIONAL RESTRICTIONS MAY APPLY. Void where prohibited. Sweepstakes ends 9/30/19. For entry and official rules with complete eligibility, prize description and other details, visit fordspecialoffer.com/farmbureau/sweeps. Sponsored by Ford Motor Company, One American Road, Dearborn, MI 48126.